• 1 in 8 women will be diagnosed with breast cancer in her lifetime. We work side-by-side with a diverse set of non-profit, medical and community partners to best provide services to women in need and take strategic steps toward meeting our goals. By leveraging our expertise and funding resources, we are able to help our notable partners impact their specific communities in a significant way. For a complete list of our current partners, please click here. The financial resources we provide to our partners are made possible through a variety of fun, community focused events that take place across the state. Golf tournaments, dinners and the famous Race for the Cure give members of our extended family an opportunity to show their support for loved ones, give back to their community and have a little fun. Komen Greater Iowa invests 75% of net income to support vital local breast health services in our service area, and dedicates the remaining net income- 25%- to national research to find the cures. A full list of our events can be found here and we hope to see you at an upcoming event! 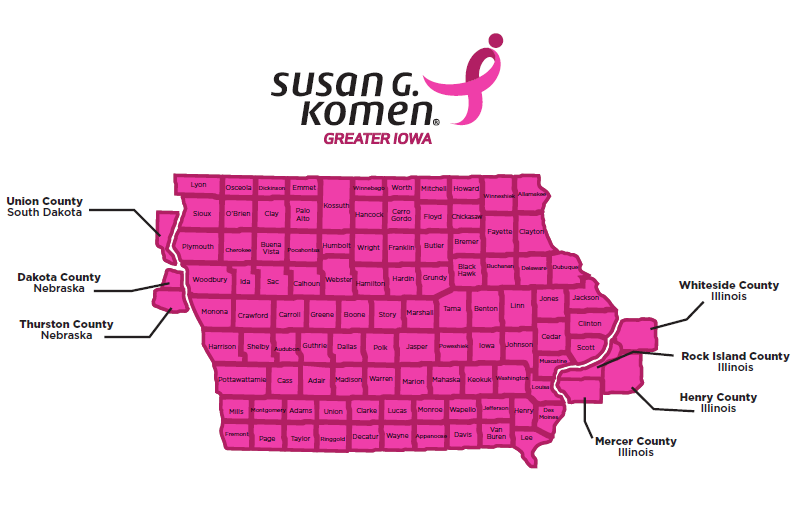 Every four years, Komen Greater Iowa conducts a comprehensive assessment of breast health and breast cancer needs throughout our service area. 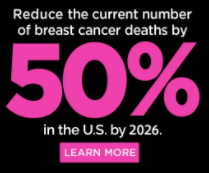 This assessment includes an overview of demographic and breast cancer statistics that highlight target areas, groups or issues and help us to make informed decisions on how we can use the resources our supporters provide to make the greatest impact on breast cancer in our service area. This assessment is referred to as the Community Profile and helps us to establish focused granting priorities, target education activities, drive public policy efforts, strengthen partnerships and sponsorships, and establish direction for marketing and outreach efforts. The Community Profile also helps us identify a long-term vision for the work to be done in our service area. Understanding current needs helps balance priorities with available staff and volunteer resources so that realistic action plans are created and can be achieved.